I honestly don't remember the first time I baked something. It’s always been something that I did with my mom. I do remember always being fascinated with bread. The first bread I learned to bake was honey oat bread. I loved learning how to knead the dough and watching it rise. The scent would fill our house. My fascination with bread has never faded. 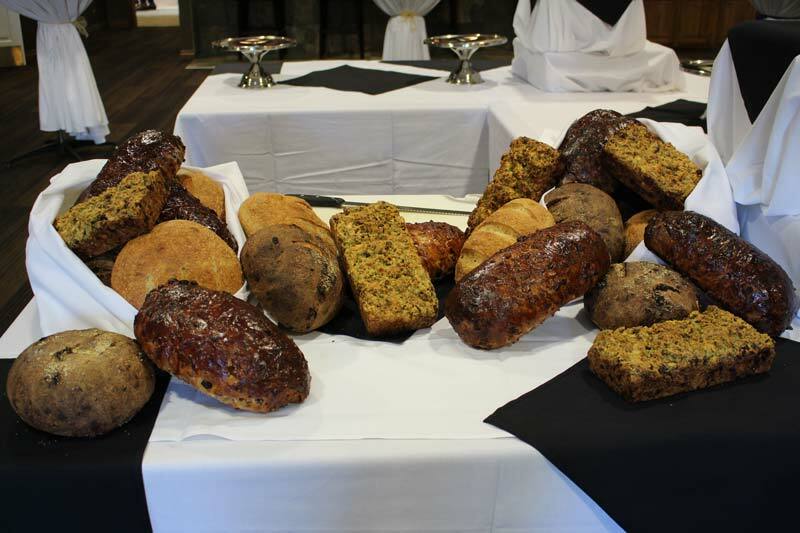 For Towne Center’s grand opening day, we baked a blue cheese, date and walnut quick bread, a fennel and olive bread, cranberry pecan bread and fig bread. Both the fig and olive breads required starters, which is where you pre-ferment yeast to add additional flavor depth to the bread. I grew up in Syracuse, New York. I was going to school for several different areas, including art history and accounting. But when I asked myself what it was that truly made me happy, I realized it was cooking. So I decided to go back to school once more - this time to culinary school. 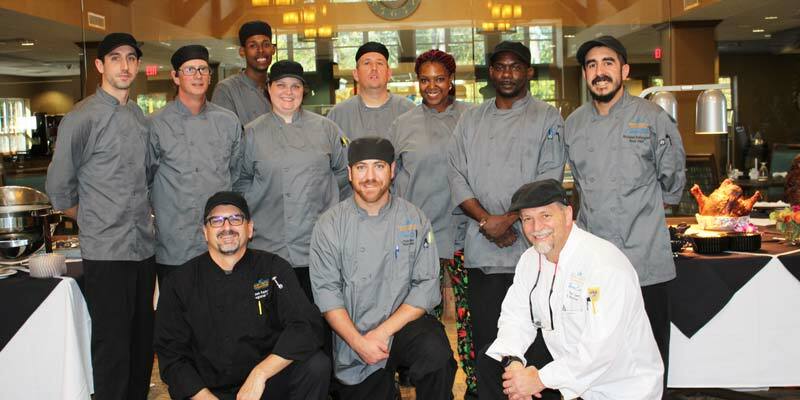 I was accepted into the Culinary Institute of America in Hyde Park, New York, and graduated in 2011. I’ve always loved baking. I didn’t focus on baking while in school because I wanted to be well rounded in my culinary skills, and I felt that focusing only on baking wouldn’t offer me that. One of the things I love about baking is the precision. I also have a lifelong love of chocolate! My advice to someone who wants to bake well is to practice. I read somewhere that you cannot say that you have truly mastered a recipe unless you have made it at least one hundred times. This gives you the opportunity to make mistakes while preparing the recipe. Then to learn what you did wrong to make it better the next time. I’ve found this to be true. The more you prepare a recipe, the smoother it goes and the more consistent your product is in the end. As AM Cook, one of my favorite parts of my day here is preparing and serving breakfast. My morning team and I - we love to be the first people the residents see in the morning. We enjoy having the opportunity to talk with them and to start their day off in an enjoyable way. I squeeze my baking in whenever I have time - during prep times or slow times during breakfast and lunch. And when I'm not baking, I enjoy gardening, quilting, and experimenting with recipes at home.